Australian captain Steven Smith on 25 November scored his 21st Test century to help his team fight back and take a vital lead of 26 runs after an early collapse in Gabba. Smith faced 326 balls for his knock of 141* and batted for over 500 minutes. He faced 261 deliveries to reach a triple-figure mark. The unstoppable Aussie skipper, who was playing the 57th Test match of his international career, also joined the elite club of hitting fastest 21 Test centuries. 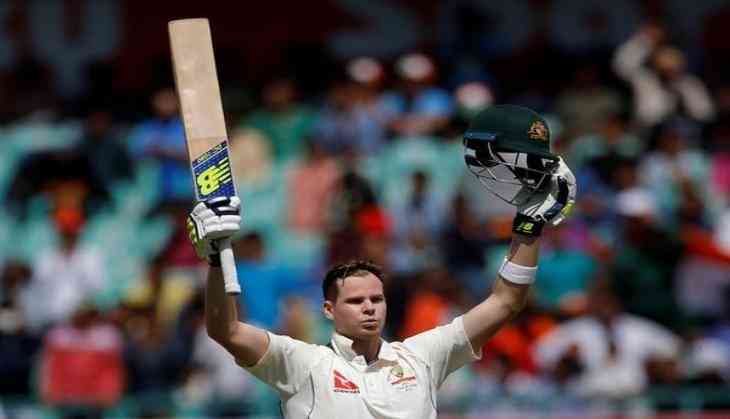 Smith, who took 105 innings to reach the feat, surpassed legendary cricketer Sachin Tendulkar, who achieved the same in 110 innings. Only two other cricketers---Australia's Don Bradman (56 innings) and India's Sunil Gavaskar (98 innings)---have had reached 21 centuries. The 28-year-old, however, scored the slowest hundred for Australia in the Ashes since David Boon's century in 1993 at Lord's. Boon had faced 284 deliveries to reach a hundred. With a strike rate of 43.25, this was also Smith's slowest ton in his international career. Interestingly, Indian skipper Virat Kohli had only scored 15 centuries after playing 57 Tests. Kohli now has 18 Test centuries to his name after playing 61 matches. At stumps of Day Three, England have resumed their second innings and have taken a lead of seven runs. The visitors, however, lost two early wickets of Alastair Cook (seven) and James Vince (two). Josh Hazlewood picked up both the wickets.